We team up with local transit agencies and jurisdictions both as a community partner and a contractor to bring the commute programs and resources to the people. From employers, to schools to everyday commuters - we're here to help you find your way. We provide services to the City of Bellevue by managing the marketing promotions, website, newsletters, customer service communications and ongoing social media program efforts for Choose Your Way Bellevue. Bellevue residents and employees are encouraged to visit www.ChooseYourWayBellevue.org to explore all their non-drive-alone travel options. From bike maps to bus routes, Choose Your Way Bellevue has it all. Commuters can find a ridematch and earn rewards and Perks for logging non-drive-alone trips on an online calendar. We invite all our TransManage building program tenants to utilize the Choose Your Way Bellevue tools and resources. We also provide free expert consultations and support for smaller employers (with fewer than 100 employees) to create employee transportation benefit programs. This program is made possible by a collaboration between TransManage, King County Metro and the City of Bellevue. We support the City of Kirkland by managing the marketing promotions, website, newsletters, customer service communications and ongoing social media program efforts for Kirkland Green Trip. Kirkland residents and employees are eligible to receive rewards through the trip planning and ridematch resource, Kirkland Green Trip. 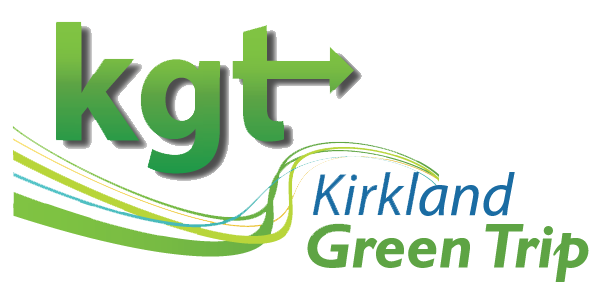 Kirkland employers can also benefit from Kirkland Green Trip’s free employer consultation services to set up an employer program of their own to encourage non-drive-alone commuting to their worksite. There are even grant funds available to help bolster a new commute program at Kirkland worksites. This resource is a collaboration between TransManage, King County Metro and the City of Kirkland. Since 2014, TransManage has supported the customer service and general program support for King County Metro's Community In Motion and Just One Trip programs, connecting commuters to drive-alone alternatives all along the I-405 corridor and I-90 corridors.